"It's been left up to me and me and me"
They're back! No, not the Daleks this time (although they do appear again this season) but the First and Second Doctors. It's perhaps worth at this point considering just how momentous this must have been at the time. 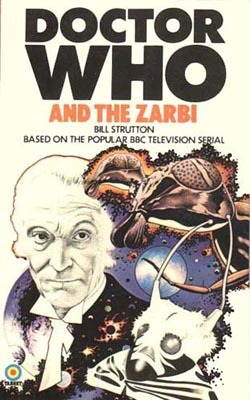 Nowadays, in the wake of 'The Five Doctors', 'The Two Doctors', 'Time Crash' and even 'Dimensions in Time', Doctor Who fans are pretty blase when it comes to multi Doctor stories. Indeed, for many fans, it's more or less expected that, where there's an anniversary, they'll be a multi-Doctor get together. But back in 1973 there was no such precedent. Most viewers probably never even considered that they'd ever get to see the past Doctors again, let alone in colour. 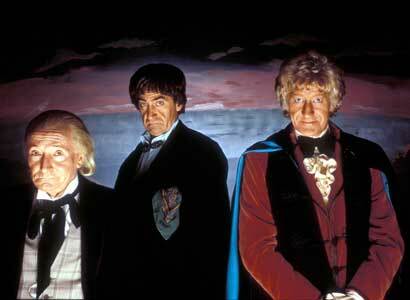 I can only imagine the anticipation and excitement that must have greeted the announcement of 'The Three Doctors'. Of course it didn't all go as planned. William Hartnell was too ill to play a full role in the story and only made a few brief appearances on the TARDIS scanner. That said, despite everything, he still manages to give a surprisingly good performance, and get some of the best lines, in what would be his last acting role. A story that features all three Doctors needs a suitable powerful enemy that can only be defeated by their combined abilities. 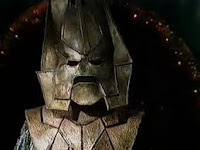 Enter: Omega, one of the Doctor's own people who was directly responsible for giving the Time Lords the power to travel in time. Omega had been long thought dead but he was, in fact, sent into an anti-matter universe. Now an insane Omega is using a black hole to drain the Time Lord's own power and return to our universe. With the Time Lords powerless it's up to the Doctor, the Doctor and the Doctor to stop him. Once Omega has been defeated, the Time Lords decide to reward the Doctor (that is, the current Doctor) for dealing with such a major crisis. His exile is lifted and he can travel through time and space once again. This isn't actually as big a deal as it seems, given that every other story the previous year featured the Doctor and Jo travelling in the TARDIS anyway - exile or no exile. Nevertheless, the Doctor is now officially free and this marks the beginning of the end for UNIT as a regular presence in the series. The first trip for the Doctor and Jo post-exile is seemingly straight back to Earth, albeit the Indian Ocean in the 1920s rather than UNIT HQ circa 1973. However all is not quite as it seems as they aren't on Earth at all but inside a sort of futuristic peepshow on a distant planet. 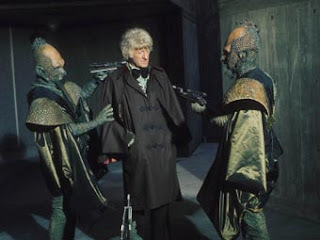 Alongside them in this 'Carnival of Monsters' (as the story is called) are a number of other creatures and monsters including a very brief cameo from a Cyberman and some very vicious creatures called Drashigs. The Doctor inadvertently causes the Drashigs to get loose and cause havoc and has to deal with them. 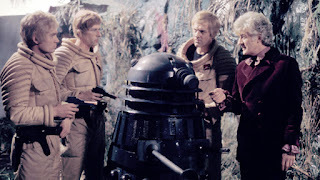 Following 'Carnival of Monsters' comes two linked stories: 'Frontier in Space' and 'Planet of the Daleks', although the link between them is only obvious at the end of the first story. 'Frontier..' begins with the Doctor arriving in the middle of an escalating conflict between the empires of Earth and Draconia. It quickly becomes clear that someone is trying to drive these two forces into war. When our old chum the Master appears halfway through everything seems to fall into place. But then we come to the final episode and it turns out that the Master is working for someone else. Who can it be? Why, only the Daleks! All this leads into an exciting cliffhanger. The Daleks are off to their secret base to prepare an army of Daleks to invade the galaxy. 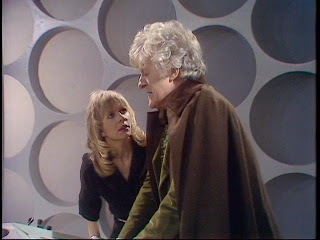 The Doctor plans to pursue them but before he does so is shot by the Master. The final shot of the story sees an injured Doctor call on the Time Lords for help. 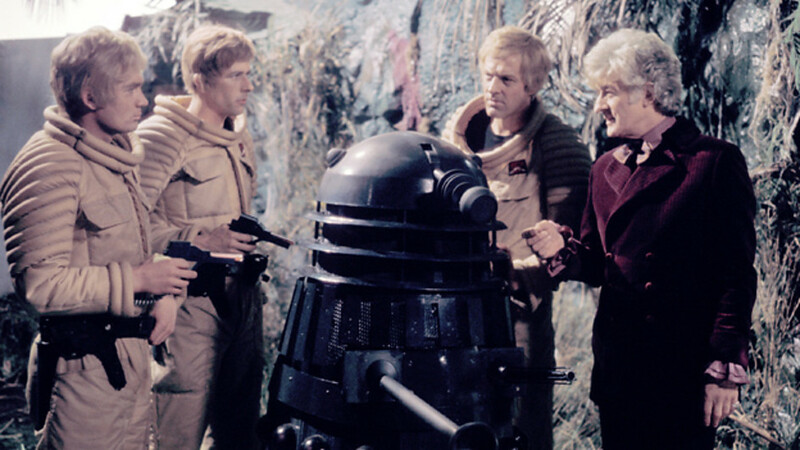 'Planet of the Daleks' takes up the story and sees the Doctor and Jo travel to the planet of Spiridon to find the secret army of Daleks. 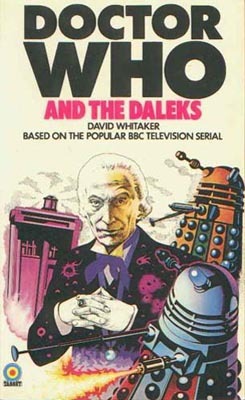 Not only does this story see the return of Dalek creator Terry Nation to writing for the series, we also meet a group of Thals, a race not encountered since their first appearance in the original Dalek story back 1963-64, as well as the first mentions of original companions Ian, Barbara and Susan since the Hartnell era. Whether intentional or not it seems appropriate that we get these little references to the earliest days of the series during what is the 10th Anniversary year. 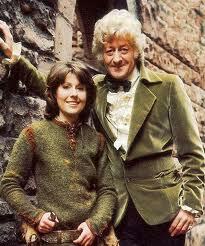 And so the Doctor and Jo return to Earth for the season finale, 'The Green Death'. For a large number of fans of a certain age this will always be knows as 'the one with the maggots'. 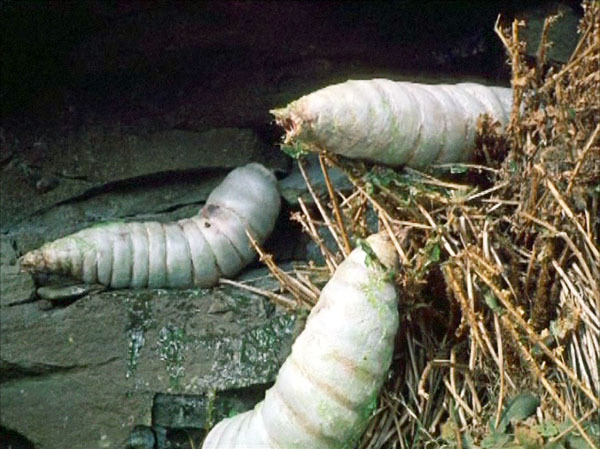 This story sees the Doctor, Jo and UNIT visit Wales to investigate a chemical factory which is pumping chemical waste into the coal mines and causing the maggots to grow. Just for a change the villain of the piece isn't an alien but a giant supercomputer called BOSS. Think WOTAN from 'The War Machines' but with a personality and a liking for Wagner and that's pretty much BOSS in a nutshell. 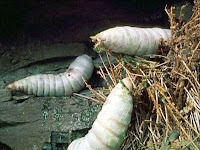 Aside from the maggots, 'The Green Death' is notable for a few other things. 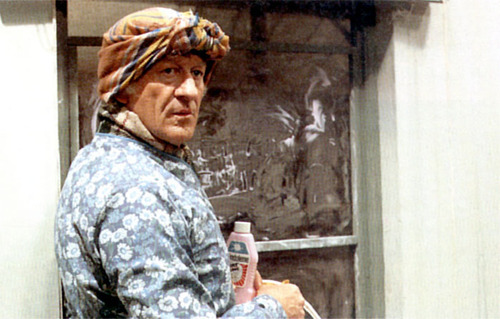 Mike Yates gets to go undercover and is hypnotised into trying to kill the Doctor; the Doctor dresses up as a milkman and cleaning lady and Jo Grant falls in love and decides to get married. The man that Jo falls for is one Professor Clifford Jones, who is leading the fight against the chemical factory. At one point Jo tells the Doctor that the Professor reminds her of a "younger you." So did Jo ever secretly have feelings for the Doctor? Did the Doctor have feelings for Jo. From his actions at her engagement party, it's hard to say but he is most certainly heartbroken by Jo's decision to leave and the final shot of the season is the Doctor forlornly driving off alone into the night. 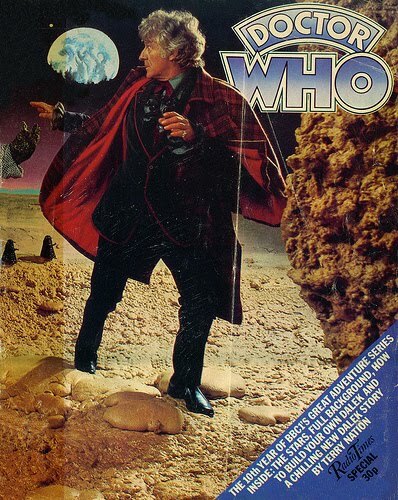 In December of 1973, the series was back for Season 11, Jon Pertwee's final season. It kicked off with 'The Time Warrior', a story that would introduce three new important additions to the series. The Sontarans (or to be more precise one Sontaran) make their first appearance in the series, although the Doctor has evidently encountered them before off-screen. Also in this story the Doctor's home planet is given a name for the first time: Gallifrey. Not a thing this year. Aside from the now obligatory Annual, we also have the first Doctor Who Colouring Book in years. It does lose points for including a picture of the 'pudding bowl' TARDIS from 'The Time Monster' though. In addition to these books we also have the early days of the Target Books series of novelisations, something that was required reading for all Doctor Who fans of a certain age in the Seventies and Eighties. For those who don't know, Target was the imprint of a smallish publishing company called Universal-Tandam (later WH Allen). Target specialised in childrens' books, often re-printing books that had been out of print for some time. 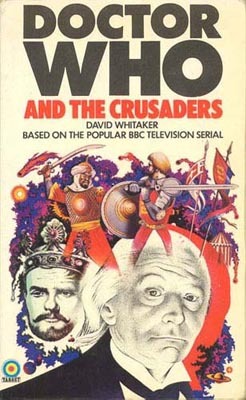 Three such books re-printed in 1973 were the Doctor Who novelisations that had previously been published in the mid-Sixties: 'The Daleks', 'The Crusaders' and 'The Zarbi'. Finally, I must mention another important publication, the Radio Times Doctor Who 10th Anniversary Special. This was published towards the end of the year, to tie in with anniversary and was one of the first (if not the first) episode guide to the entire series. It looked quite stunning with a number of specially shot photographs of various companions from the past. It also previewed the upcoming season 11 and gave us a early glimpse of new girl Sarah Jane. Change was once again in the air for the Doctor Who comic strip and, sadly not for the better. TV Action + Countdown became the snappier TV Action in an attempt to boost sales. The comics editors also changed the format of the comic. What this meant for Doctor Who was that, every few issues it would be given 7 pages, rather than the usual two or three, in which to tell a longer story. It would then go back to it's regular 2-page format for a few weeks and then get another 7 page story and so on. 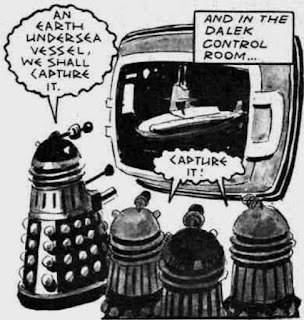 One such 'Big Story' as they were called saw the return of the Daleks, while the more standard 2-page strip saw the first comic appearance of the Master. Alas for TV Action nothing seemed to work and the comic came to an end in August 1973. The good news though was the Doctor Who comic strip would continue. The bad news was that it returned to the pages of its former home, TV Comic, where inevitably it would be aimed at a younger age group again. 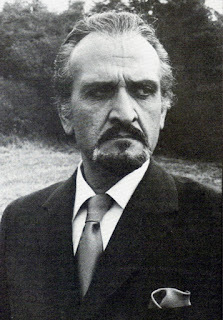 Arguably the first major death in Doctor Who's long history occurred on June 18 1973 when Roger Delgado died. 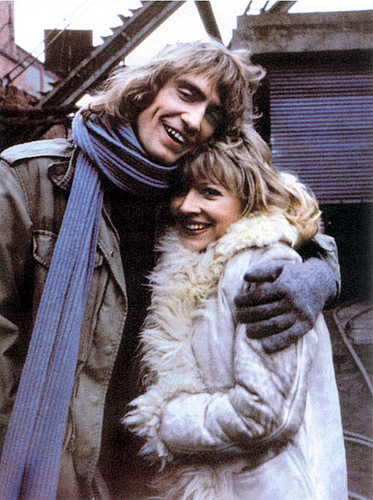 He had been in Turkey preparing to work on a film when the he car he travelling in crashed, killing him instantly. That tragic accident robbed the world of very good actor and, by all accounts, a fine gentleman. 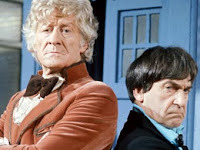 From the standpoint of the TV series, it also meant that viewers never got to see what was planned to be the final meeting between the Doctor and the Master in season 11. The Master of course would return but Delgado had set a very high bar for all the actors who were to follow him. Interesting read on the 10th Anniversary year & what went on as a result on this, here, in the 50th Anniversary year. P.S.- I..I..came here..I..came..here..via..TARDIS Newsroom, I..I ..must obey!